The chip provides a total solution for multi-mic far-field speech enhancement. It features the ultra-low power consumption and good speech recognition enhancement in a noisy and distant environment. The capability for empowering various applications or products brings good sales potential. Realtek's ALC5520 Audio/Voice DSP is a total solution for Far-Field Voice applications. The integration of embedded 103dB SNR Hi-Fi, low power ADC, multi-core 32-bit DSP with vFPU, and Realtek proprietary voice processing technology greatly enhances the Speech Recognition performance of the ALC5520, even in very noisy and far-field (over 10 meter) environments. 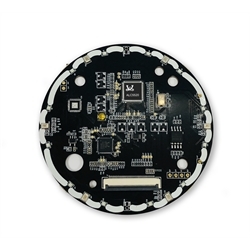 The high performance and ultra-low power design enables the ALC5520 to be widely adopted in products requiring voice input and recognition functions, such as smart speaker, smart TV, mobile device, white goods, and automotive electronics.